The newly updated 2013 BMW 7 Series again sets the benchmark in its class for performance, luxury, efficiency and safety. Updates include significant powertrain upgrades for 740i / Li; 750i / Li, xDrive and BMW ALPINA B7 models –including BMW’s 8-speed Steptronic automatic transmission (8-speed Switch-Tronic high performance transmission for B7), xDrive — BMW’s intelligent all-wheel drive system — now available for the 740Li, as well as a completely new powertrain for the ActiveHybrid 7 and BMW ALPINA B7 which remains as the undisputed benchmark in terms of luxurious performance, chassis technology, and hand-finished exclusivity. The new 7 Series boasts a revised exterior that features new technologies such as available LED headlights. The interior of the new 7 is similarly enhanced with a newly redesigned iDrive system and the availability of an optional Bang & Olufsen High-End Surround Sound system. The 2013 BMW 740i/Li now features BMW’s latest 3.0-liter TwinPower Turbo inline 6-cylinder (N55). Compared to the previous model, this new engine combines a single twin-scroll turbocharger, High-Precision Direct Injection and Valvetronic, BMW’s ground-breaking throttle-less intake system. This engine again uses Double-Vanos infinitely variable camshaft timing. The 740i/Li use a high-output version of this engine delivering 315 horsepower and 330 lb-ft of torque for power on par with the previous model. The engine is mated to BMW’s 8-speed Steptronic automatic transmission. The performance of the previous model is maintained while efficiency is significantly improved. US EPA mileage estimates are not yet available. However, in the EU test cycle, fuel consumption was reduced by about 20 percent. 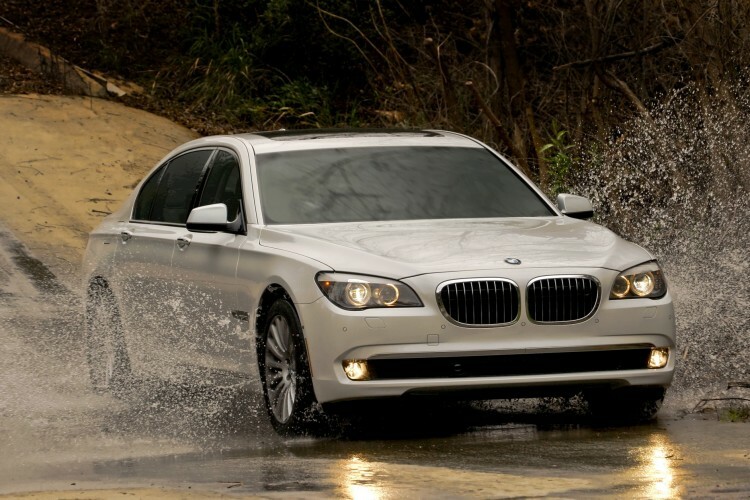 Another significant option for customers in the US is the availability of xDrive, BMW’s intelligent all-wheel drive system, for the 2013 BMW 740Li. Previous post Ask BMWBLOG: Can I retrofit an iPhone connection in a BMW?